There is no exposure to ionizing radiation. Thermography is a type of medical imaging that looks at heat patterns on the skin that may be indicative of underlying dysfunction. Because there is no radiation exposure, thermography is safe for women of all ages. Thermography is painless and non-invasive. There is no direct patient contact with the equipment or painful breast compression. Thermographic results are independent of breast density. Women with dense breasts have a 4-6 fold increased risk of developing breast cancer. And mammograms are less sensitive, thus less likely to detect cancer, in women with dense breasts. In these women who have the highest risk, mammograms are less effective. Thermography is safe for implants. The compression involved in a mammogram may increase the risk of implant rupture. There is no breast compression with thermography. And women with implants must have a total of eight standard mammographic views rather than four, exposing them to twice the radiation of women without implants. Implants do not compromise thermographic results. Implants can obscure breast tissue on a mammogram. While breast augmentation changes the size and contour of the breasts, the thermal patterns on the surface of the skin remain largely unchanged. Breast thermography has undergone extensive research. In 1982 the FDA approved thermography as an adjunctive diagnostic screening procedure for the detection of breast cancer. Thermography is quick and easy. A typical exam takes between 20-30 minutes. Two exams approximately three months apart are required to establish a baseline. Abnormalities of physiology almost always precede abnormalities of anatomy. As a physiological test, thermography has the potential of finding evidence of a developing malignancy much earlier than a mammogram which looks at anatomy. Thermography is an important risk assessment tool. Thermography does something that none of the other tests can do: it is useful in assessing breast cancer risk. An abnormal thermogram is 3-10 times more significant as a risk factor for future development of breast cancer than family history in a close family member (mother, sister, daughter). Thermography affords a proactive approach to breast health. Because thermography can indicate if an woman is at increased risk for breast cancer, these results can provide an opportunity to reduce risk modifiable factors (nutrition, exercise, alcohol intake, stress, obesity, etc…) and take appropriate action. These early changes detected by thermography are reversible and repeat testing can measure whether lifestyle changes are helping. If thermography is abnormal, a woman can be screened more frequently with conventional testing and possibly detected at an earlier stage. 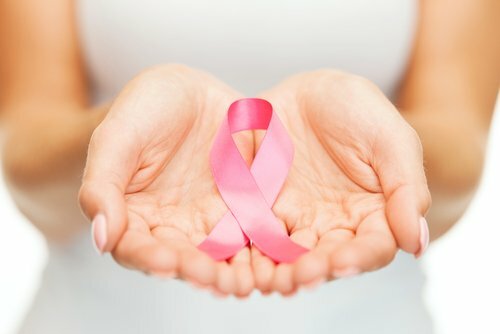 In Summary, although not approved as a standalone breast cancer screening test, thermography can be an additional option for many women, especially to assess breast cancer risk, for those with dense breasts or women who want to decrease exposure to radiation by having less frequent mammograms. Mammography, breast ultrasound, and thermography all detect abnormalities in a different way and a combined approach can sometimes be more beneficial depending on the woman’s individual situation.